HB Body 805 Super Cut 200ml. A high quality machine polishing compound coarse suitable for the removal sanding scratches from P1500 and anything finer. 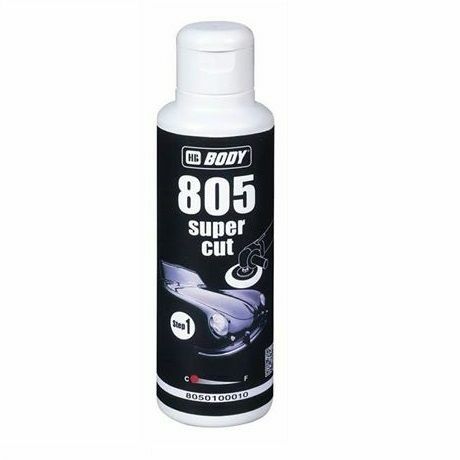 Also suitable for the removal of car wash scratches and for the removal of orange peel giving a deep and lasting shine. Silicone free and suitable for all paint finishes including new and aged cured.